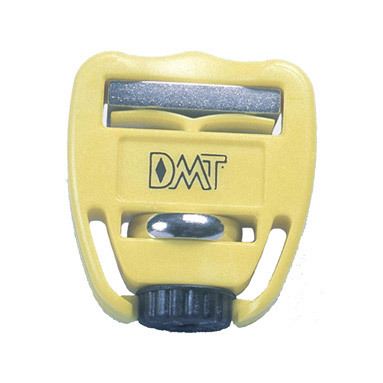 DMT® Burr Doctor - ski & snowboard edge tuner tool. Perfect for on the slope "touch-ups", it offers 0° to 5.5° adjustability with the Diamond Burr Stone. Size: 2" x 2" x 1" (50mm x 50mm x 25mm). Quick edge repair anywhere with angle adjustability. Sharpens skis & snowboard edges faster than conventional stones with DMT's monocrystalline diamond surface.